As wedding season approaches, we’ll begin to see a lot of interpretations on “dressed up.” Here at SHOP TALK, we say nothing is better than a classic piece with a modern twist. 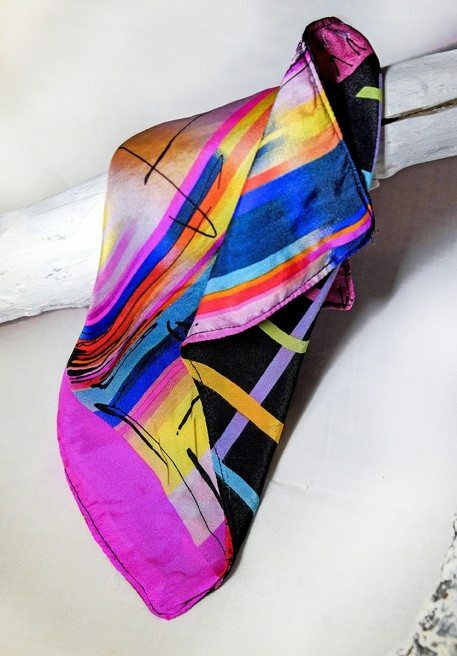 Ottawa stylist Rania Abdulla has done just that with her innovative Reversible Pocket Squares. Pocket squares that are double sided with two distinct yet complementary textiles, Rania’s creative accessories add variety to any outfit and are versatile to boot. 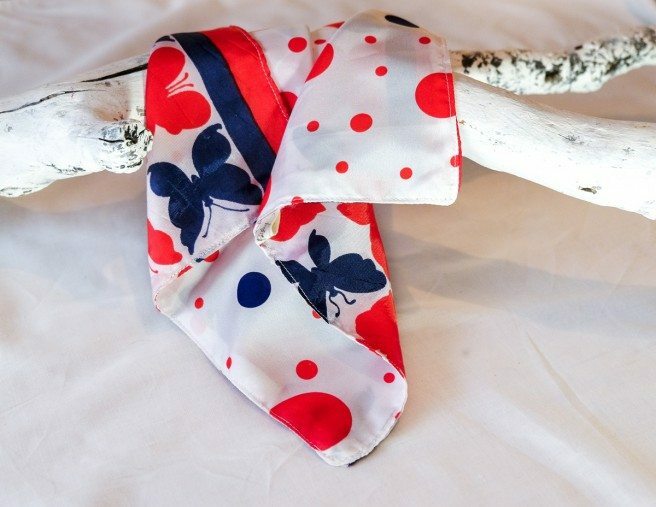 Rania creates the Reversible Pocket Square from repurposed material in her Ottawa studio. As these brilliant accessories are made from recycled material, only a few matching pocket squares will be created and seen about town. The Pocket Square can also be worn a variety of ways — folded so that both patterns complement one another, or folded to showcase one of the two sides at a time. 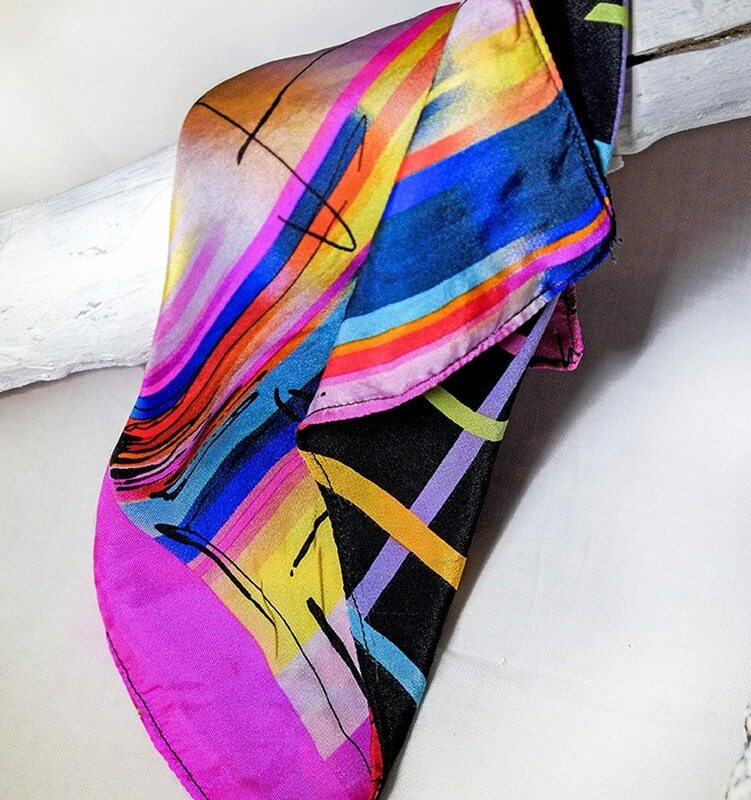 This accessory is a one of a kind, two for one deal — providing you an original accessory that is environmentally responsible, locally handmade and quintessentially bespoke. It is a classic piece — a small accessory with big impact. Further modernizing the traditional pocket square look, Rania encourages her colorful creations to be worn by both men and women alike. Perfect for many occasions, her Pocket Squares can be worn tucked into shirts, jackets and dress pockets, either dressed down or dressed up. They can be worn with a casual outfit for a western cowboy feel, or for a more polished effect – Old Hollywood style. Tied onto the strap of a handbag, the squares add that European flair and a pop of colour to any outfit. The Reversible Pocket Square is a vibrant twist on a classically traditional item, which expresses that the wearer knows quality and style – trends are fleeting, but the elegance of a pocket square is timeless. 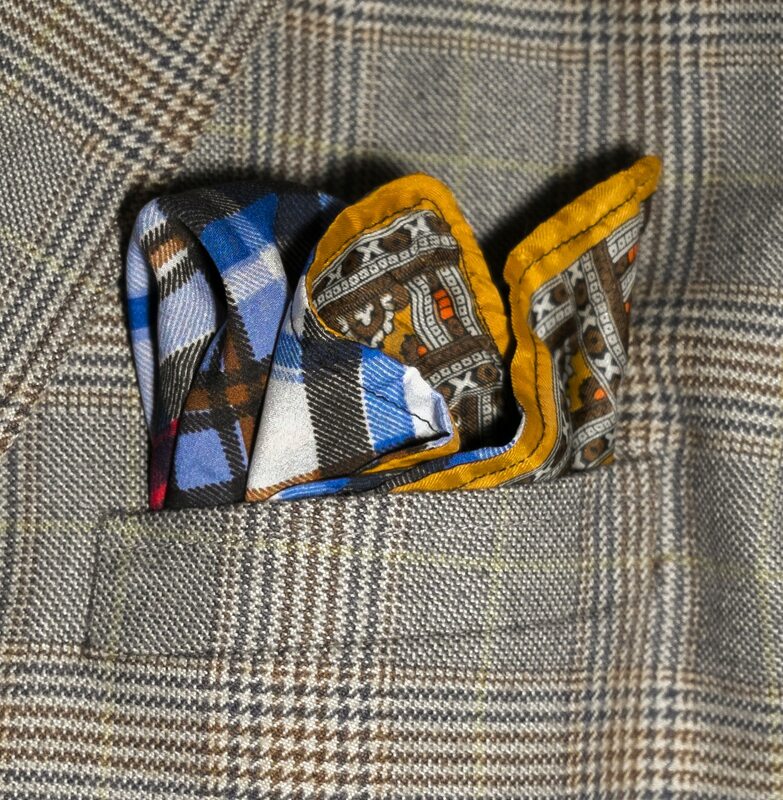 This pocket square — tied to a the strap of a handbag — would add touch of European flair. With wedding season and summer soirees quickly approaching, channel your inner Cary Grants and Katharine Hepburns and be sure to grab yourself a Reversible Pocket Square at her online store.